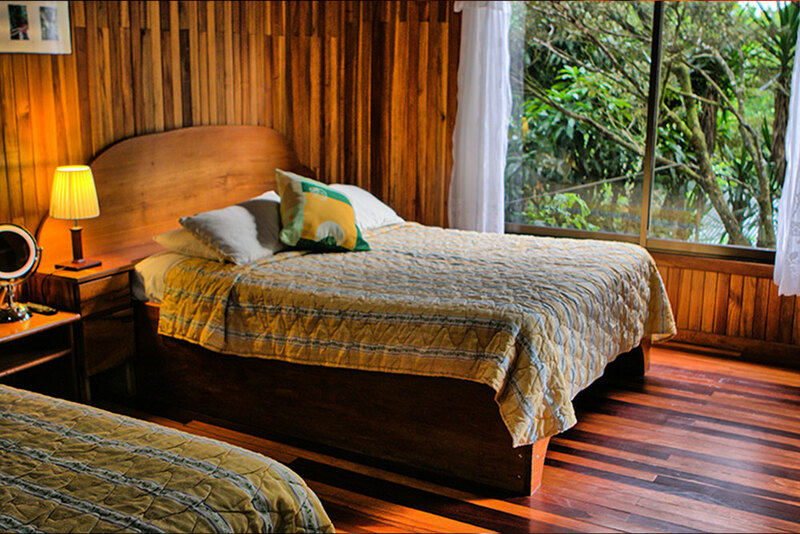 Welcome to Jaguarundi Lodge, a hotel for adventurers and wanderers, those who love nature and want to get the real experience of living in a mountain town in midst of the tropical cloud forest. 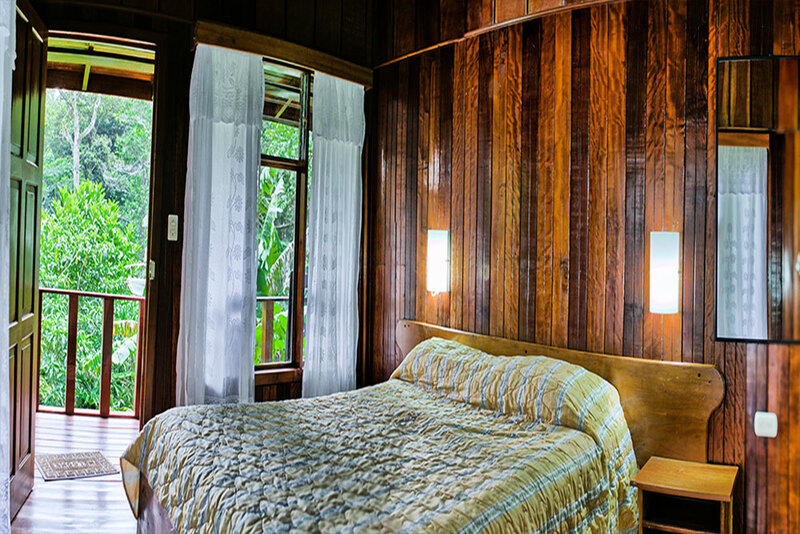 We offer four spacious superior rooms with queen sized beds, television, mini-fridge, balconies, views of the forest and capacities for up to 5 people. At our restaurant you will not only enjoy our great breakfast selection to start you off everyday, but you may also enjoy our excellent happy hour at our bar everyday in the afternoon. 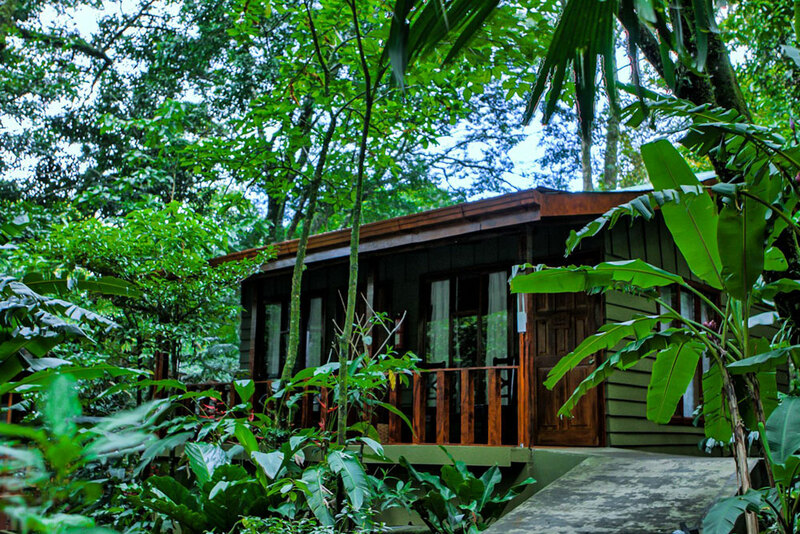 Although it is in the center of Santa Elena, it feels like you are in the forest, because you have your own forest, monkeys, birds, and other animals that come up to you to see them. The room is spacious, neat, and well cared for. The kitchen is clean and with the necessary implements. The continental breakfast is bread with local jelly and butter. They also had cereal, milk, juice, coffee and fruits. We liked the rooms because they are like cabins and have a field in the corridor to stay chatting for a while comfortably. They’re cabins that are inside the jungle. Perfect location, close to the center but a little away to be able to rest. Good quality price, they are very friendly and the site is clean. It is impressive to be on the terrace at night listening to nature.